Over the last few years Texas has had a shortage of both registered and LVN nurses. Texas nursing schools have had to turn away applicants due to the state not allowing schools to over sit their students. When looking into schools be sure that they are accepting new applications but also that they have a firm upcoming start date. Often we hear people enroll but are kept on a waiting list for sometimes up to 6 months. In Texas to receive your LVN vocational nursing license you need to do the following. Diploma – In order to enroll in any nursing program in Texas you must first hold your high school diploma or GED. 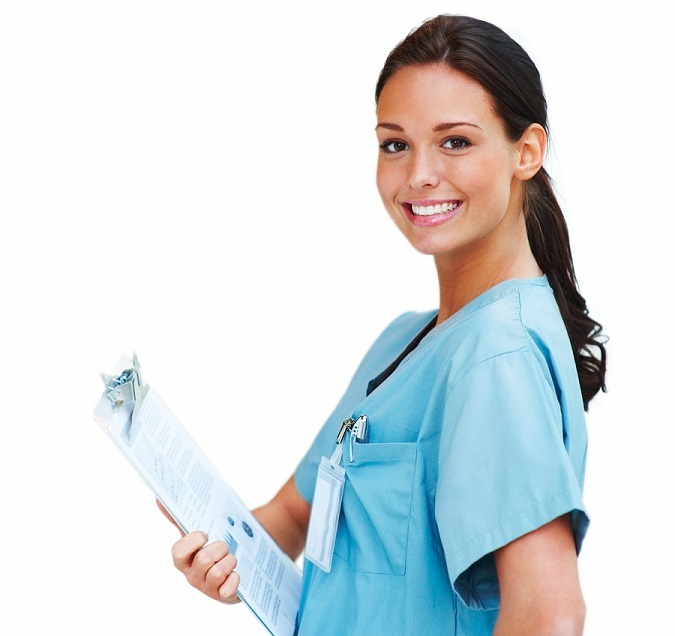 Vocational Nursing School – You’ll need to successfully enroll in a Texas approved nursing program. It is recommended that you check the pass rate of any school that you plan on enrolling in. Every school must be able to show you the pass rate on the NCLEX exam from the previous year. The school also needs to have a minimum of 1398 hours including 558 hours of classroom hours. It takes on average 15-18 months to finish an average vocational nursing program. TX State Exam – Once you pass an approved nursing school with a passing grade of a C or better before you can apply to take the NCLEX exam by the Texas Board of Nursing. You’ll need to have a clean background check in order to get your license. The current pass rate in Texas for anyone taking the NCLEX exam for your LVN license is 86%. Registered nurses have a slightly higher pass rate on the NCLEX of 90%. Renewals – As a vocational nurse you’ll need 20 hours of continuing education every 2 years. In Texas you can take your CE renewals 100% online. Abilene, TX has an average salary of $61,555. Arlington, TX averages $67,826 per year as a salary. Austin, TX - $66,556 average salary. Dallas, TX – Has the highest median salary of $69,885 per year for RN’s. Fort Worth, TX - $67,650 yearly salary average for registered nurses. San Antonio, TX - $64,566 salary. Searching for a good nursing school in Texas can be hard work. We realize that you have a lot of options but be sure to examine the below areas for each school before enrolling. Tuition Cost – LVN tuition costs can range from $18,000 to $30,000 and RN’s will be higher. As long as the school is accredited in Texas to offer the program and it will give you the required hours and help you pass the NCLEX exam then we recommend looking for the least inexpensive school in your area. Some schools will also offer online components which can help and we tend to see schools that offer online cheaper than campus based nursing schools. Teacher Ratio – An important aspect of any education is the teacher to student ratio. The standard is a 12 to 1 ratio although some schools can have a lower or even higher ratio. The lower the ratio the more hands-on experience you’ll receive and those schools tend to have a higher NCLEX pass rate. Pass Rate – In our opinion the biggest factor when looking into which school to attend is their pass rate and scores on the NCLEX exam. Even if you can find a school that has a 10% higher pass rate that proves they are a better school and will give you the best chance of passing the exam. Make sure you only look at the last year of data from a school. Instructors most from school to school and you really should only be concerned about the last 12 months, not what the pass rate was 5 or 10 years ago as it isn’t a good reflection of their pass rates. Reputation – Have you had a chance to look online at their public reviews? Not that every review will be good but make sure that you don’t see tons of negative reviews or any lawsuits online. Another way to check is to find graduates online or via social media that graduated at the school you are considering. Ask them what they like and disliked about the school including what instructors they had. These days it is pretty hard for a bad school to hide online.